means quality, comfort, and service. ($400 value) Online-only promotion. Contact us today! Salt Lake Dental Care represents the best-quality dental care in the Salt Lake Valley. Dr. Clint Blackwood uses his experience, wide-range of services, and understanding of patients’ needs to give all of his Salt Lake City area patients the absolute best care and best smiles possible. Whether it’s cosmetic, general, or family dentistry, no one does it better than Salt Lake Dental Care. Visit us once in Murray, UT, and you’ll be a patient for life! If you would like more in depth information about our services, please feel free to visit our clear braces, Invisalign, and dental sedation websites to learn more! Dental implants are a permanent, comfortable option to replace a missing tooth, and can be an essential step to restoring a beautiful smile. Dental work is so much more than just fillings and cleanings. 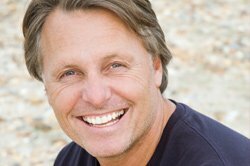 Cosmetic dentistry is the art of creating a beautiful smile, and Dr. Blackwood specializes in doing just that. 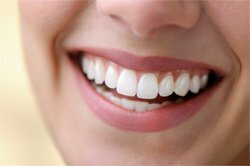 See our smile gallery for examples of our work. When wisdom teeth become impacted or potentially problematic, it is necessary to extract them. Wisdom teeth extraction doesn't have to be uncomfortable, and Dr. Blackwood and his team are experts at making this experience a pleasant one. We want you to feel relaxed and at ease when you come and see us. There's no reason you should feel apprehensive about visiting the dentist! Let us show you how sedation dentistry can help you feel comfortable and ready for your appointment!